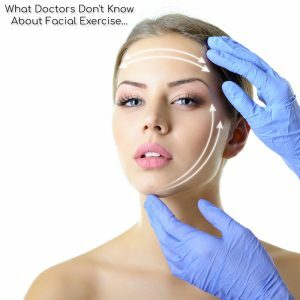 No wonder the medical community is confused about recommending facial exercise to their patients because the movements used by most of the facial exercise programs can indeed cause more wrinkling simply by accentuating the existing lines and wrinkles. Who needs that? If one keys the phrase “facial exercise” into a search engine, depending on the day, one can easily find that over 1 million choices are offered touting facial exercise. 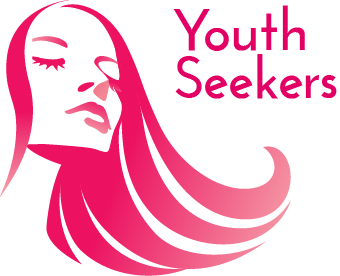 When most of the sites are accessed, the reader can usually try an exercise proffered by the “expert” that promises to make the reader look younger. Some of these movements are quite bizarre; it is no wonder that physicians cannot legitimately recommend these exercises to their clients who want to look younger without surgery, injections or risk. Carefully orchestrated facial exercises that use resistance training are indeed the most sought after exercise techniques because they truly address the cause of aging in faces. Some aging is caused by sun damage and exposure to the elements but the greatest cause of aging is really about sagging facial muscles. There are essentially two ways to change the shape and contour of the face; one is to alter it surgically, the other is more conventional, certainly safer and longer lasting and that is to bulk up or lift the muscles with exercise. Exercise will plump up the void created by loss of fat and collagen production. If one chooses surgery to look younger, the procedure is not permanent and subsequent face lifts or other interventions are required to keep the patient looking young and fresh. Within months of a surgical procedure, the patient will notice gradual loosening and shifting of the muscles, reminding them that they spent thousands of dollars, risked their life with unneeded anesthesia, have a loss of sensation and scars that daily remind them of their choices. The same continued expense is required if one chooses any of the injections currently available. These are expensive and must be repeated several times per year to maintain the status quo. But do they really keep the patient from aging? No. The muscles continue their downward slide so more and more injections are required. Ask yourself: How long can a person continue to inject foreign substances into their faces before they no longer resemble themselves? Regular exercise of the facial muscles will make those muscles stronger and larger thereby causing them to expand and plump up. This action fills in the hollowness and makes the skin feel and look younger and thicker. A regular routine of facial exercise will tone, lift and tighten your cheeks, jowls and chin helping you to look younger and vibrant with each passing day. Just think about it – you can save your money and take your new face on a well deserved vacation.